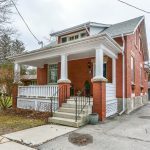 The Guelph & District Association of Realtors released the MLS Market Analysis with Year-To-Date Stats for September 23rd. The Wellington Rural Romp is your chance to get up close to your food. The environment remains a very significant political, social and economic issue that involves all levels of government. Tree Planting is an easy but effective way to improve the environment. Disasters come in many forms. In Guelph we have two rivers, major road and rail links and normal Canadian weather. According to statistics released today by The Canadian Real Estate Association (CREA), national resale housing activity dropped sharply from July to August 2012. 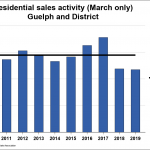 The Guelph & District Association of Realtors released the MLS Market Analysis with Year-To-Date Stats. Cottage Closure Got You Down?